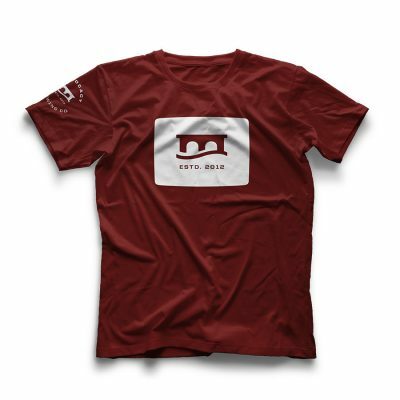 This shirt features a distressed Monocacy Brewing Company stamp logo on the chest and the ‘Proudly Brewed in Frederick, MD” stamp on the right sleeve. This shirt is available in grey, olive, and maroon. 60% cotton and 40% polyester Next Level brand t-shirts are used.